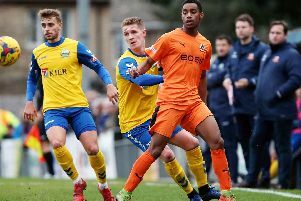 It is crunch time for Gosport Borough as they face Farnborough at Privett Park in the Southern League premier division south on Saturday (3pm). For Borough it is a game they really feel they need to win. Craig McAllister's side are in a precarious position just one place and one point above the relegation zone. The team immediately below them, Basingstoke Town, have two games in hand. Picking up points is now the priority for McAllister. The Borough player boss said: ‘This is a massive must-win game for us. ‘After picking up just one point from the last possible 12 away from home we have to make our home form count. ‘Not getting the results away from home puts added pressure on us. ‘Our home performances have generally been acceptable. ‘Now we have to make sure we win to redress the balance. ‘Farnborough are in good form having gone seven games unbeaten. ‘They score lots of goals, don’t concede many and have plenty of energy in their team. ‘Technically we have the ability to more than match them. When the sides met earlier in the season Borough suffered a narrow 2-1 defeat under unfortunate circumstances. 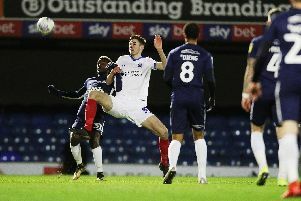 Borough had defender George Bennett sent off and the winning goal was scored deep into stoppage-time. McAllister felt his team did deserve better on that day. He added: ‘We were unlucky at their place and certainly deserved to get something from the game. ‘That is in the past and now it is time for action.